The Straight Dope revealed it, Reddit reminded us, and Foodbeast confirms. To be fair, the extra space underneath is there to let the noodles cook and expand evenly, not to cheat you of your precious, hard-earned instant meal replacement. 3. Twinkies definitely don't last forever. Sorry, but your stash of individually packaged golden nuggets is only good for about 45 days. 4. 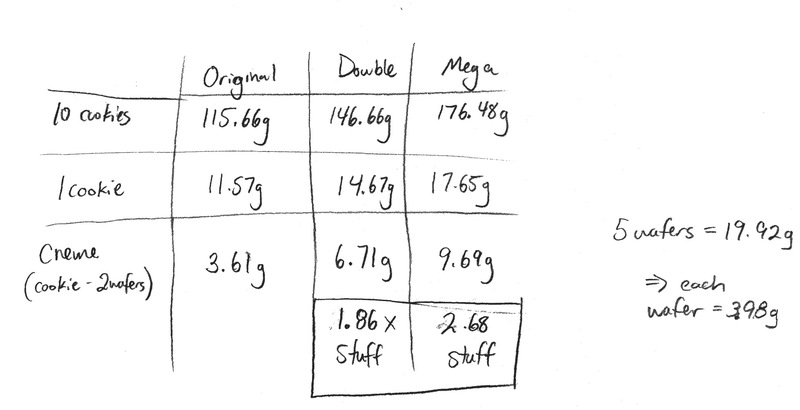 So-called "Double Stuf" Oreos only contain 1.86 times the stuf. 5. Cap'n Crunch is not, in fact, a captain. The three stripes on his uniform clearly reveal him to be a Navy commander, not a captain. The Cap'n has addressed these concerns, but something still smells fishy about the whole thing. 6. For years, Subway's "footlong" subs were a big, 11-inch LIE. Subway promised to make things right, but you should probably always measure, just in case. 7. Douple-dipping doesn't spread any more germs than single-dipping. Note: Just because it's true doesn't mean people won't yell at you for doing it. 8. Grape-Nuts don't involve anything related to grapes OR nuts. Ingredients: whole grain wheat flour, malted barley flour, isolated soy protein, salt, whole grain barley flour, malt extract, dried yeast. So why are they called that? No one knows! Guess they just felt like LYING. 9. Supposedly discontinued Oreo O's DO still exist — but only in South Korea. The GREAT news: There are currently eight boxes left on Amazon! And they grow underground in these super-weird little dongles. 11. German chocolate cake doesn't have anything to do with Germany. It's just called that because of some dude named Sam German, who invented baking chocolate. Still delicious, though! Get a recipe here. 13. Carrots don't actually make your eyesight better. Put those glasses back on, poindexter. 15. Oranges aren't necessarily orange. Oranges in warmer tropical climates never get cold enough to break down the chlorophyll in the fruit’s skin, which means they'll be yellow or green when they're ripe. Americans can’t deal with this, so imported oranges get treated with ripening ethylene gas to turn them orange.